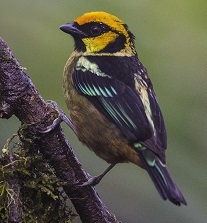 The Magic Birding & Photography Circuit is the first of its kind in South America, We own 8 private Birding Reserves and 4 Eco-Lodges in Ecuador, most within a two hour radius of Quito. 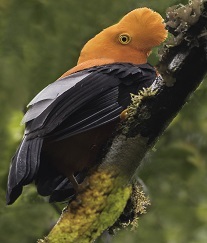 Experience our Ecuador Birdwatching Tours & Bird & Wildlife Photography Tours and Eco-Tours for nature lovers, visiting up to 14 diverse eco-systems throughout the Andes Highlands, Cloud Forest, Upper Tropical Rainforest, East & West Andes Slope, Paramo, Amazon Tropical Rainforest & Pacific Lowlands. 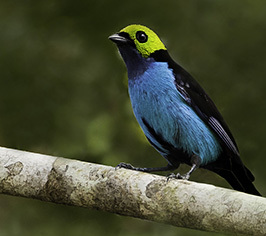 We have recently have added two NEW private nature reserves to The Magic Circuit collection, introducing San Jorge de Sumaco Bajo Bird Sanctuary in the Amazon Tropical Rainforest, and the NEW San Jorge de Guacamayos Bird Paradise in the Eastern Andes Cloud Forest. Our private nature reserves offer up to 1,600 possible bird species and 100 Hummingbird species, 15 running waterfalls, 2 ponds, rivers, wild orchids in natural habitat, medicinal plants, butterflies, mammals & diverse flora & fauna. 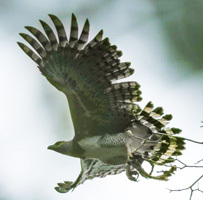 Our all-inclusive Ecuador Tours include airport transfers or pick up from downtown Quito, delicious meals, lodging, specialized English speaking native guides and private transportation throughout the reserves. We bird our way from reserve to reserve eliminating unnecessary driving. 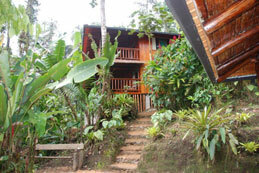 Our 4 Ecuador Eco-Lodges are rustic and environmentally friendly and offer quality service with comfortable well-appointed rooms furnished in typical décor with optional upgrades for private balcony and stunning views or rustic bungalow rooms inside the tropical rainforest located at our new Forest Eco-Lodge. Enjoy nature and wildlife from our 60 foot high spacious observation tower overlooking the canopy, swimming at the cascading waterfalls with a picnic lunch, or selecting one of our Ecuadorian cultural tours. 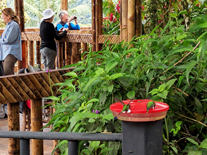 NEW - Hummingbird Restaurant at San Jorge de Tandayapa Hummingbird Sanctuary in the Cloud Forest, built high above the forest canopy with spectacular views - open air dining! Dine with the Hummingbirds! 3 NEW spacious rooms have also been built offering magnificent panorama views with private balcony or private patio, vaulted ceilings and large windows. 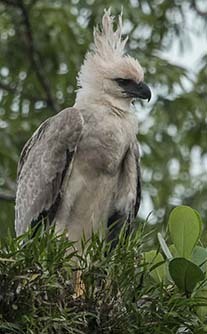 Magic Birding Circuit Tours: Ecuador Birdwatching Tours - All-inclusive birdwatching tours are offered throughout the year, ranging from 8 thru 25 nights. 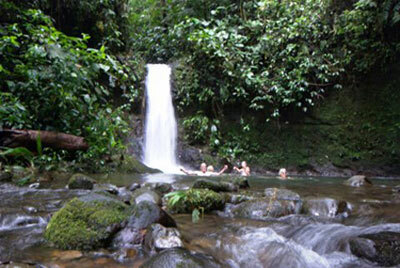 Travel through The Magic Circuit and visit all climate steps of the world on the most diverse tours in Ecuador. Pre-scheduled tours or private. 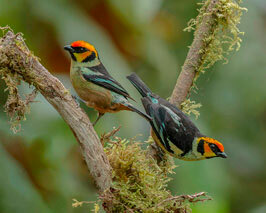 Magic Bird & Wildlife Photo Tours: Ecuador Photography – All-inclusive bird photography tours in Ecuador. Hummingbird Photography. 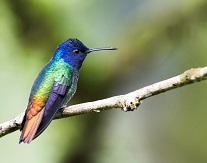 Active hummingbird feeders at all San Jorge Lodges & Reserves; 2 large Observation Photography Towers; Canopy Islands Wild Photography Center in the Cloud Forest, Superb photo options. Pre-scheduled tours or private. Magic Birding Circuit Hummingbird Tour: Hummingbirds in Ecuador. 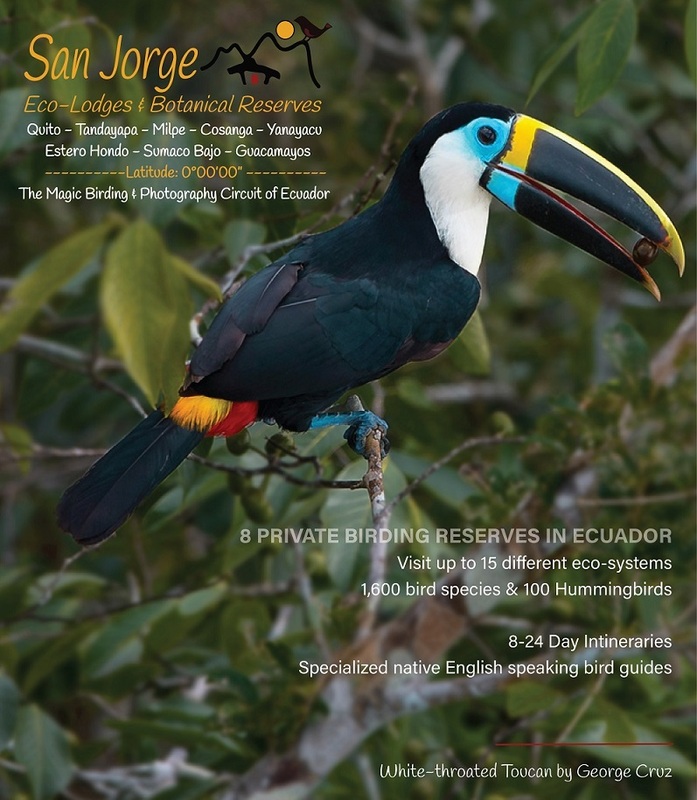 Magic Eco-Tours for Nature Lovers: Ecuador Eco-Tours - Ecuador Eco-Adventures - All-inclusive pre-scheduled tours for nature lovers scheduled throughout the year, ranging from 4 to 14 nights throughout the East & West Andes Slope and Amazon Tropical Rainforest. 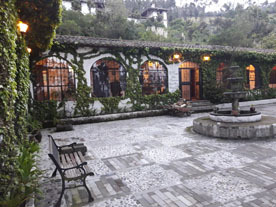 San Jorge Eco-Lodge & Botanical Reserve/Quito, an 18th Century Spanish Hacienda located in the Pichincha Foothills in the Andes Highlands on 230 acres of untouched, protected land. 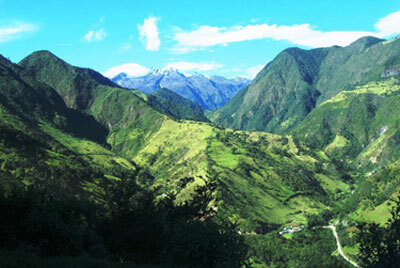 It preserves the wild and natural habitat of the many endemic plants, mammals, and over 90 different highland species of birds which are native only to the Andes region. We are the only private reserve near Quito, yet a world away from the busy city to provide guests with peace and tranquility. 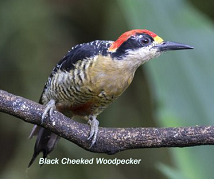 Start birding and enjoy nature as soon as you arrive to Quito! Enjoy Birdwatching, Photography, Hiking the Last Incan Emperor’s Trails, Medicinal plants & sacred waterfalls, Ecuadorian Cooking Classes. 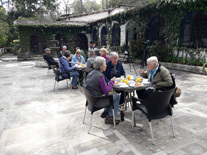 Join us for delicious food, Andes music, comfortable rooms, private baths, and lovely gardens. Recently a new trail has been constructed from the lower level to the upper lodge for easier walking with trail lights, new stone patios; new Photo Center with feeders designed just for bird photography. Moderate Wi-Fi is offered in the upper level rooms and courtyard, including lower level courtyard and reading room. A wonderful natural environment awaits you. Explore our beautiful gardens within a comfortable Eco-Resort environment. Relax at our festive El Cucayco Restaurant that serves delicious Ecuadorian and international cuisine, and overlooks the valley of Quito. 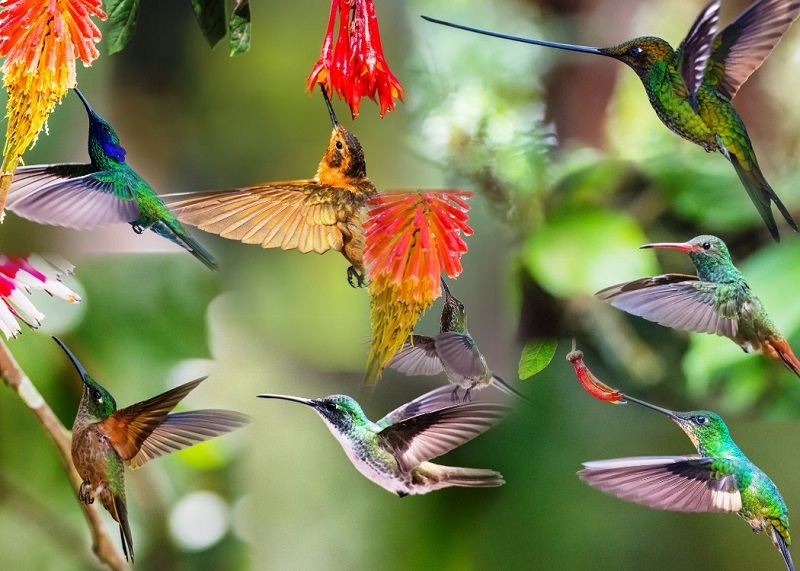 San Jorge de Tandayapa Hummingbird Sanctuary & Lodge is located in the Cloud Forest on 150 acres of prime birding & hiking property. 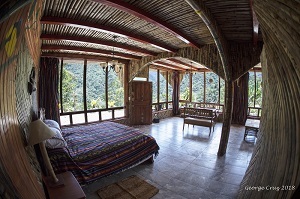 A gorgeous mountain top lodge in Tandayapa Valley with pristine birding and hiking trails, bird huts, running rivers, 2 ponds, NEW open air Hummingbird Restaurant & Bar surrounded by active hummingbird & tanager feeders overlooking the Cloud Forest views. 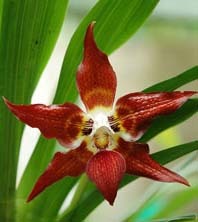 It offers wild orchid gardens in their natural habitat and The Canopy Islands Wild Photography observation decks. Accommodations include spacious rooms with private baths, and optional upgraded rooms with magnificent views and private balcony or private patio. 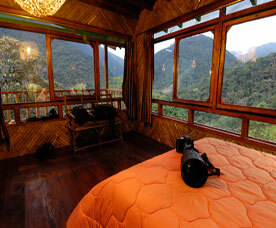 No Wi-Fi is available at this lodge in the Cloud Forest Mountains. 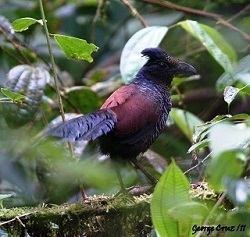 Located one hour from San Jorge Eco-Lodge/Quito, it is part of the Choco Bird Area of N.W. 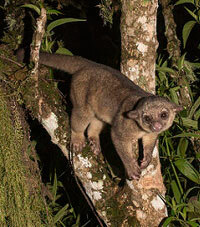 Ecuador where as many as 500 species live and superb photography options. 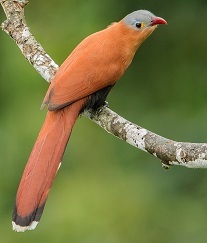 San Jorge de Milpe Orchid & Bird Reserve has 2 Lodges on this reserve, located in the Upper Tropical Rainforest on 260 acres of prime birding & hiking property. 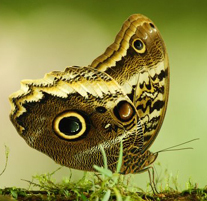 Enjoy spectacular scenery, fabulous birding and hiking trails, running rivers, 11 waterfalls, over 500 species of tropical birds, hundreds of butterflies, numerous wild orchids in their natural habitat, including a wide array of tropical flora and fauna. 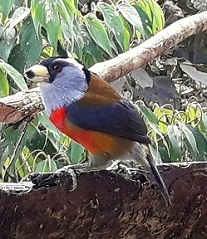 San Jorge’s Observatory Hill is unique with four species of parrots including the Rose Faced Parrot, four species of Toucans, including a huge amount of Tanagers and many more! NEW 60 foot high spacious Observation Tower overlooking the canopy. San Jorge de Milpe Orchid & Bird Reserve has the comfort and rustic elegance of a rainforest lodge, making it the ideal retreat for birdwatchers, photographers, and nature lovers alike. 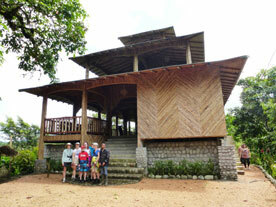 Spectacular birding & nature at the most beautiful lodge of the surroundings. San Jorge Forest Lodge has spacious rustic Bungalow Rooms with  2 queen beds, private bath, large windows; optional private Balcony & Views, hammocks for relaxing , see birds from your room. Moderate Wi-Fi is available at the bar & observatory. 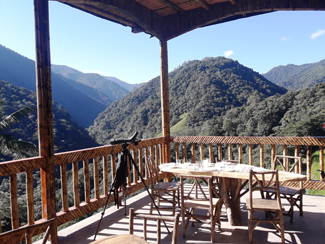 Large open air restaurant with views, active hummingbird, tanager & toucan feeders; reading room, lounge, 60 foot high overhead observation deck - all canopy. 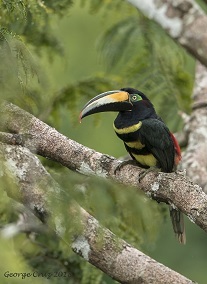 San Jorge Cliff Lodge (Scientific Research Center) offers double rooms –2 twin beds and private bath, open air restaurant, observation decks, active hummingbird, tanager & toucan feeders, pristine trails, wild orchids in natural habitat. No Wi-Fi is available at the remote location of this lodge. 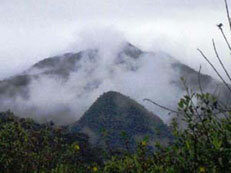 San Jorge de Cosanga-Yanayacu Wildlife & Bird Reserve - Eastern Andes Slope, is in the Highland Cloud Forest adjoining Antisana National Park. 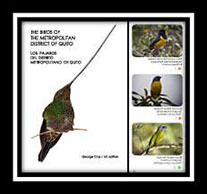 This reserve is yet another birdwatchers paradise within the Subtropical Eastern Slopes of the Andes offering a wealth of new birds. NEW! 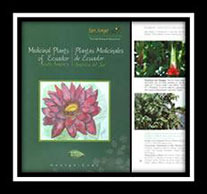 San Jorge de Estero Hondo Botanical Reserve is a private tropical reserve located in the Pacific lowlands of Ecuador in a transitional zone between the semi-humid and dry tropical forests of the now endangered Tumbesian Endemic Corridor. 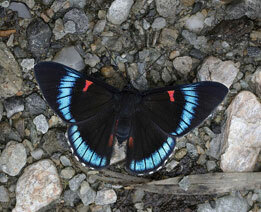 It is rapidly becoming one of the last pristine reserves in the lowlands of the west. 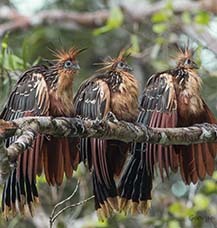 Estero Hondo is a paradise of 300 possible bird species within the reserve and other sites nearby, with mantled howlers, white-fronted capuchin monkeys, peccaries, jaguarondi’s, ocelots and tamandua anteaters. 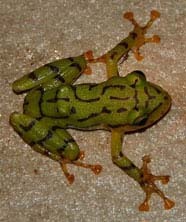 NEW San Jorge de Sumaco Bajo Reserve (Rio Tutapishco) - Amazon Tropical Rainforest, a private tropical reserve on 400 acres. 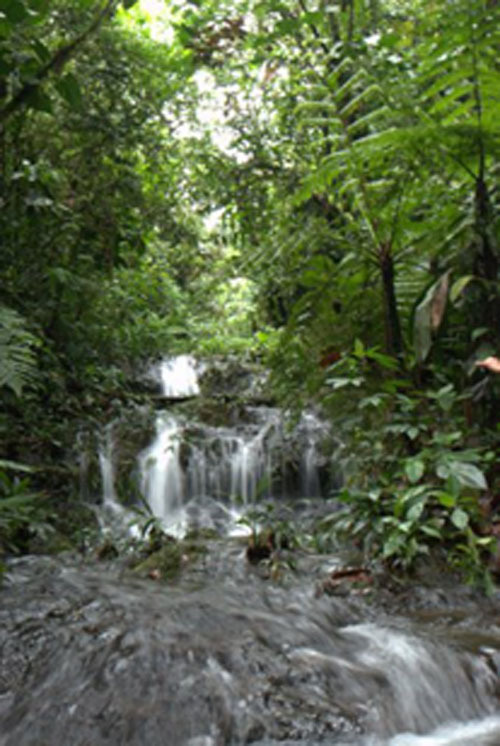 A magnificent pristine prehistoric forest surrounded by several protected areas including the enormous Sumaco - Galeras National Park. 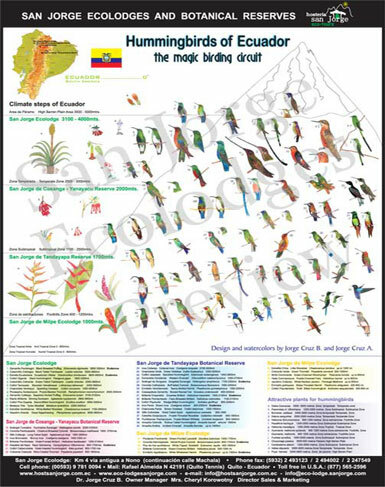 Up to 550 bird species are presently inventoried with an amazing collection of wild creatures and is situated in one of the most diverse climate steps in Ecuador. This new reserve offers beautiful crystal rivers, several streams and springs, and a hilly area between the flat land, providing a multitude of options for natural history, birdwatching and bird & wildlife photography. 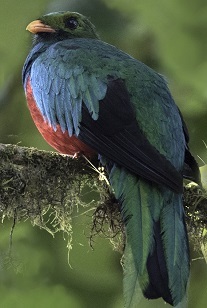 NEW San Jorge de Guacamayos Bird Paradise - Eastern Cloud Forest, Located in the Epicenter of the Christmas Bird Count World Record area of 540 species in 1 day! Surrounded by Antisana National Park, Sumaco NP, Napo Galeras NP and Cayambe Coca National Park making this the largest and most protected natural areas in Ecuador. 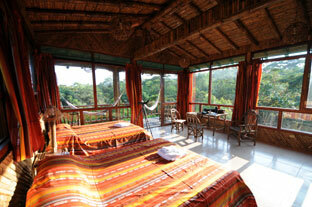 This wonderful property has amazing natural resources and magnificent panorama views. San Jorge de Guacayamos Bird Paradise offers hundreds and hundreds of bird and butterfly species, a large variety of mammals such as Spectacled bears, Tapirs, Pumas, Tyra's, deer and Jaguar, including a wide variety of wild orchids and plant species - all found in this pristine Cloud Forest. 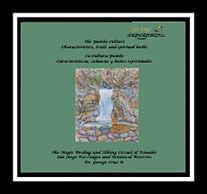 Cultural - Historical Tours & Amazon adventures. 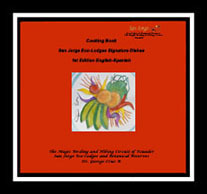 San Jorge has been awarded the Trip Advisor Certificate of Excellence for the past 9 consecutive years!